Every Facebook Personal Profile, and Facebook Page, has an associated ID number. Depending on what applications you might be setting up, or services you are joining, you will find yourself needing your Facebook ID. 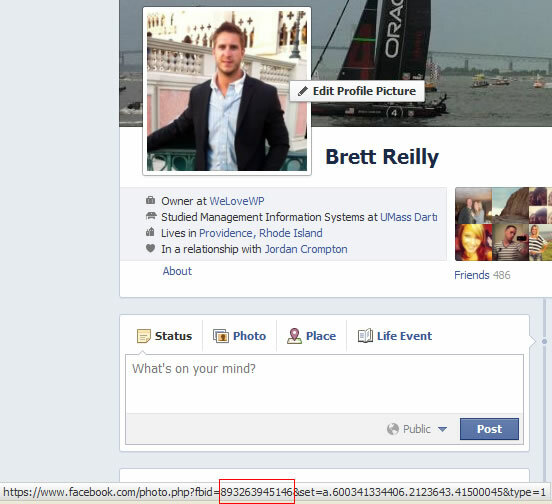 For those of you who haven’t customized the URL of your Facebook, then finding your ID is super easy. Just click on the “Profile” tab in the upper right hand corner then look at the URL (web address). 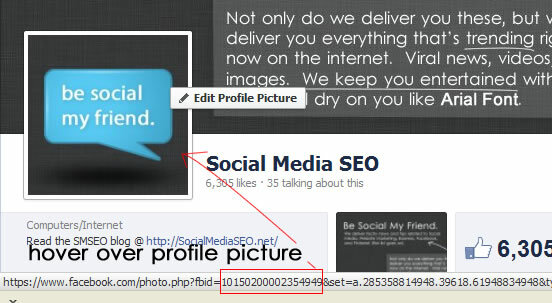 I’ve highlighted the Facebook profile ID above, and it’s the 15 digit number that comes after the “id” portion. Now, for those of you that have already customized the URL of your personal Facebook profile, you need to do something a little bit different. If you’ve customized the URL, then obviously the ID is no longer showing. So what you need to do to get the ID of your Facebook profile, if you’ve customized your URL, is simply hold your icon (the pointer that moves around when you move your mouse) over your Facebook profile picture. As you hold your mouse icon over your Facebook profile picture, then look down in the lower right hand corner of your computer screen and you’ll see your URL with your ID in it. Alternatively, you can click your profile picture to be taken to your Facebook profile pictures and you’ll then see your profile ID in the URL up in the address bar. Notice the 12 digit number at the end of the URL? This is your page id! Now if you’ve customized your URL, like I have, then you’ll follow the same steps as you would with your Facebook profile. To find your Facebook Fan Page ID for a fan page that has a customized URL simply hold your mouse pointer over your Facebook Fan Page profile picture and you’ll see your URL / ID in the lower left or right hand corner of your browser. Or you can alternatively click your profile image and this will take you to your images of your Fan Page. 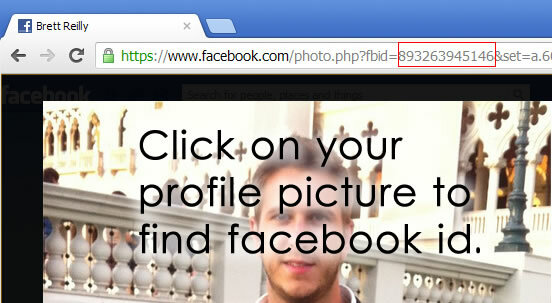 Once you see your profile image gallery, just look up in the URL (web address) and you’ll see your ID in the URL. Hope this helps you find your ID, a little easier. As always, if you have questions, post them in the comments below! Follow us on Facebook for more tips or sign up for daily updates! Thanks for the tip! Very helpful, question though…I am only seeing 9 digits in my FB ID #? But on mine, the link was longers, so I had to look for the 15 digits in between…if that makes sense?? Fantastic! Thank you so much for having the answer to my facebook id issue! WERE’S THE url I CAN’T SEE IT! post me a pic! A much, much easier option is to do the following: just cut and paste this URL and change “rossdunn” to whatever the person’s Facebook name is and you will get their ID # and more. Simple! Heу therе! This post сouldn’t be written any better! Reading through this post reminds me of my good old room mate! He always kept talking about this. I will forward this article to him. Pretty sure he will have a good read. Thank you for sharing!